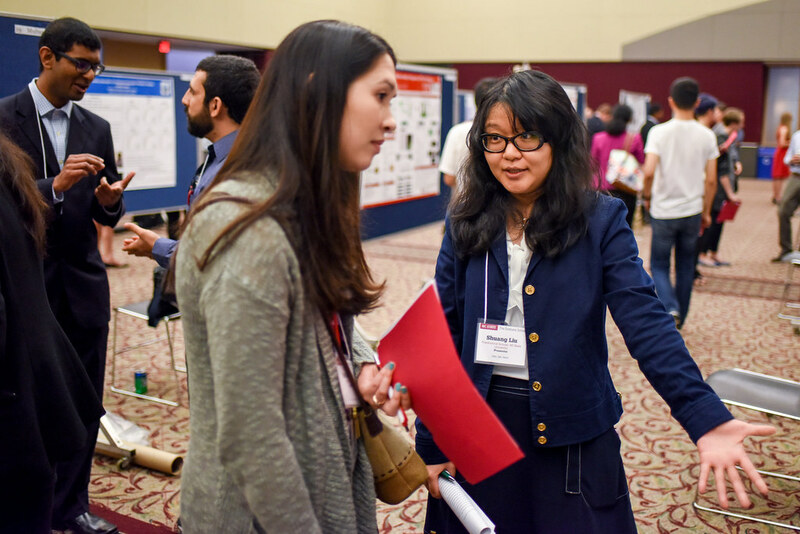 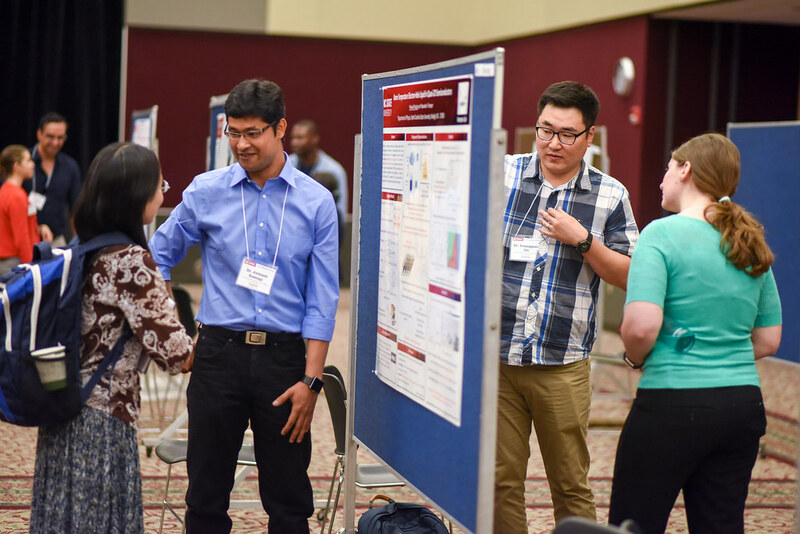 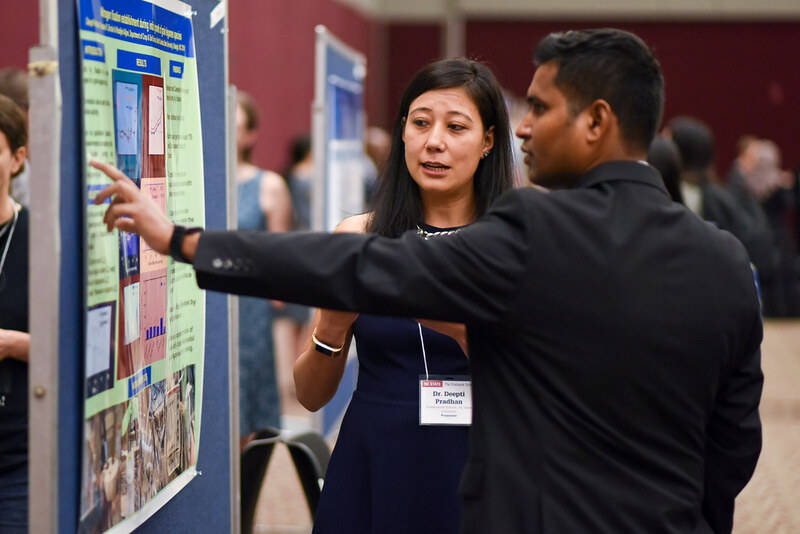 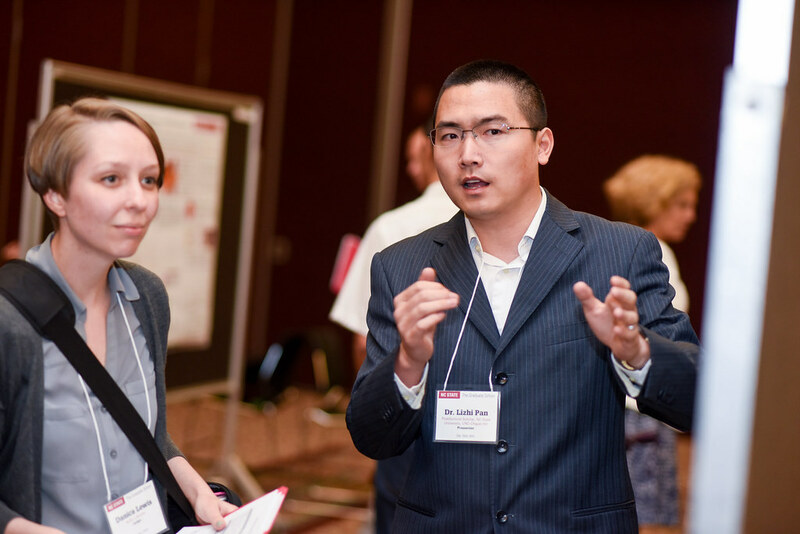 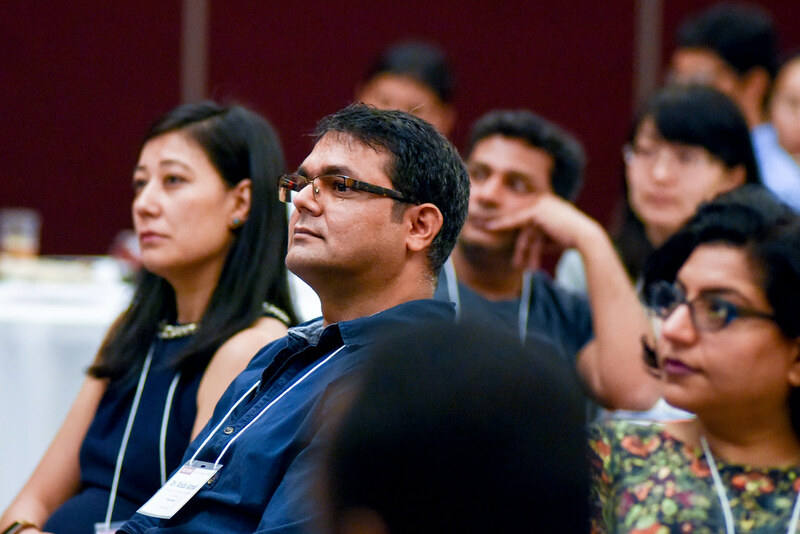 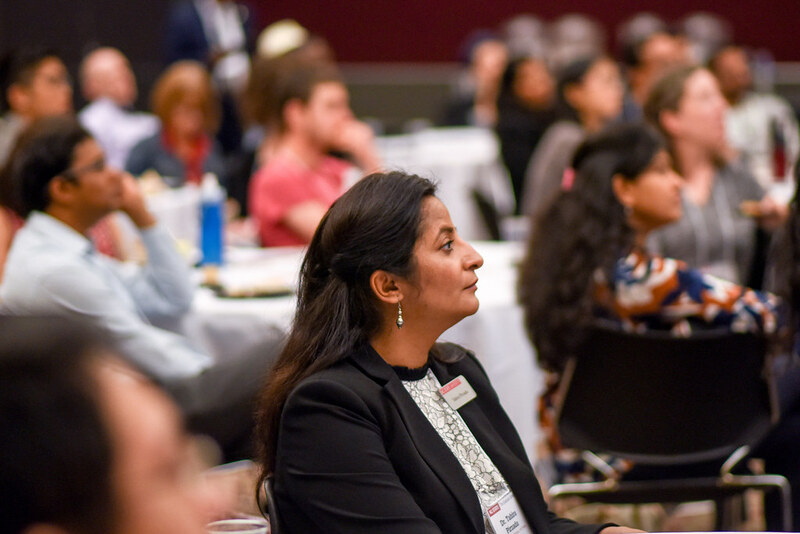 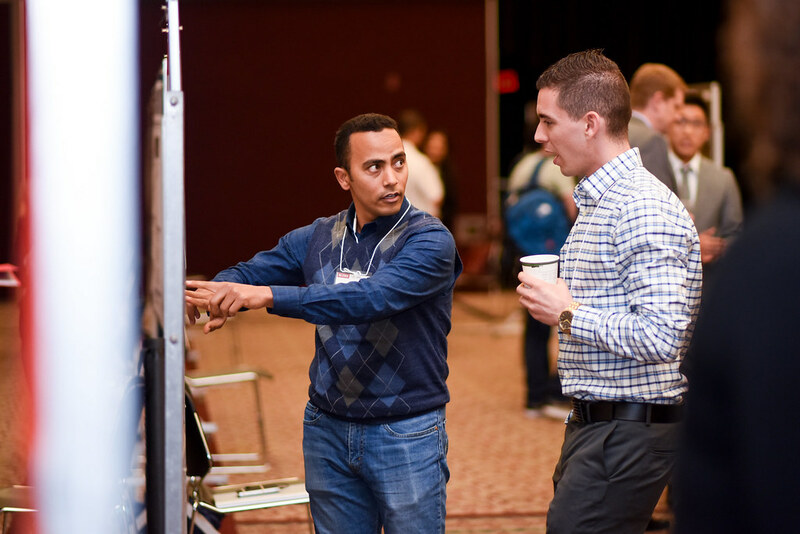 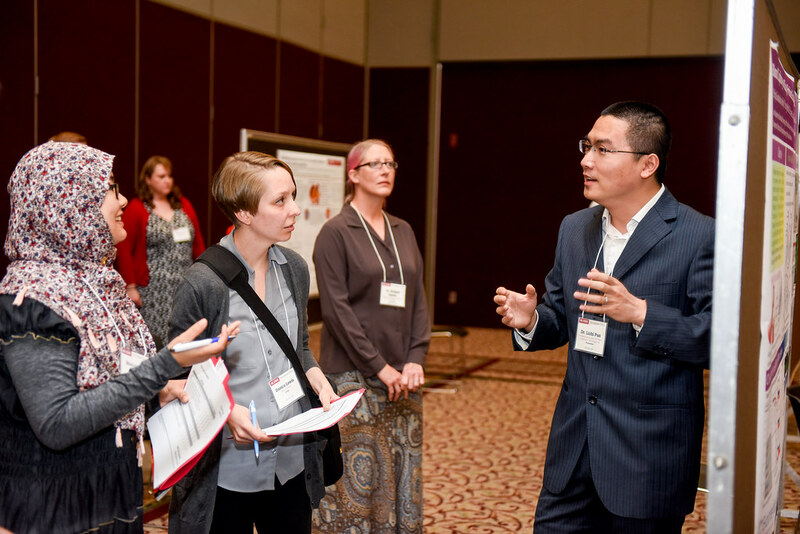 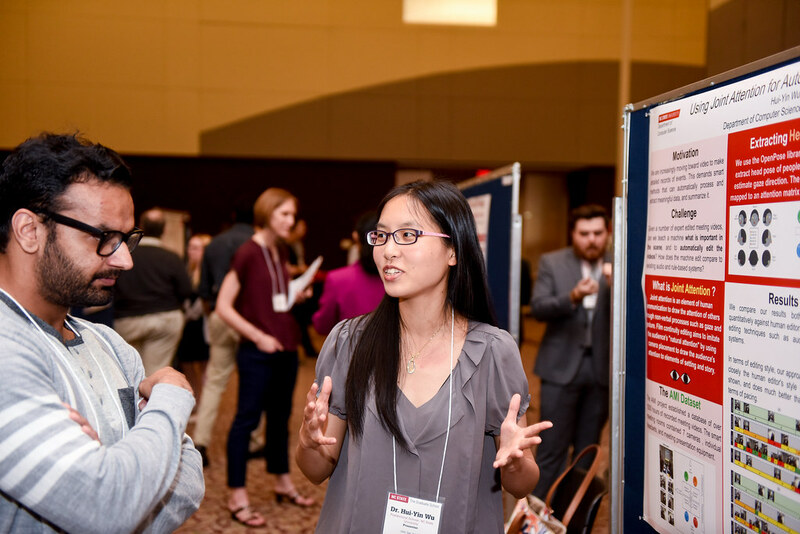 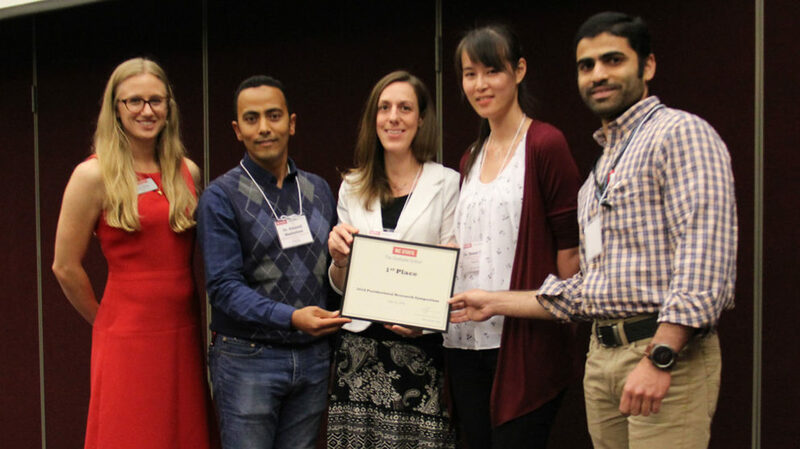 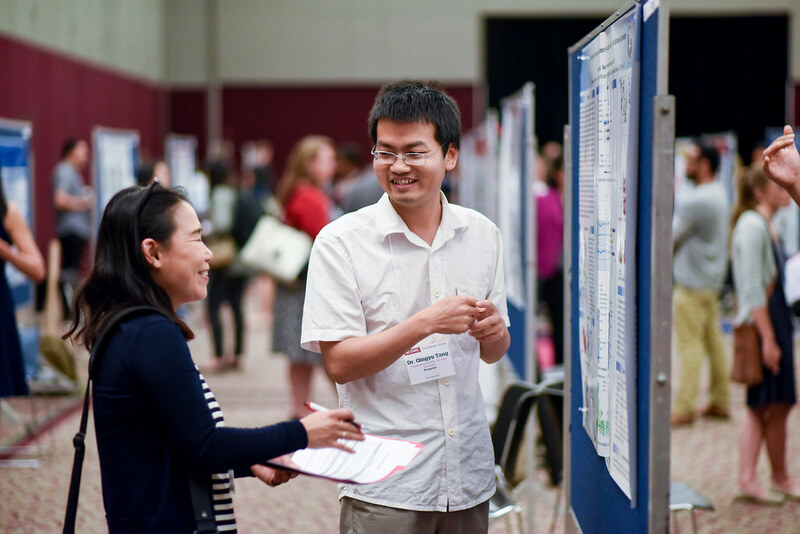 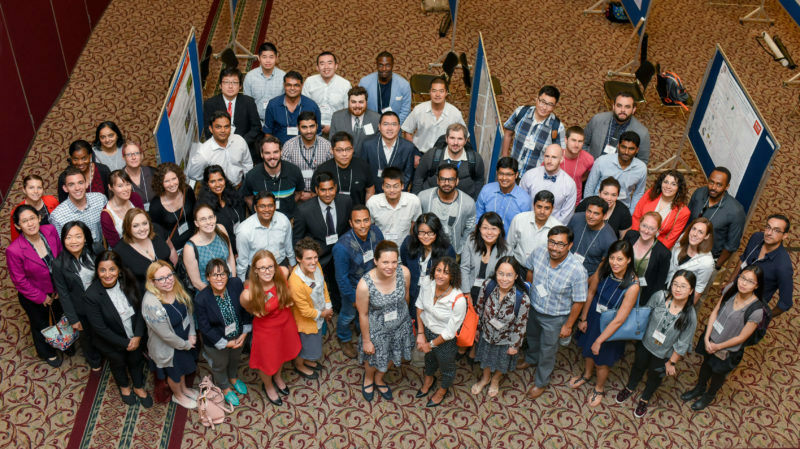 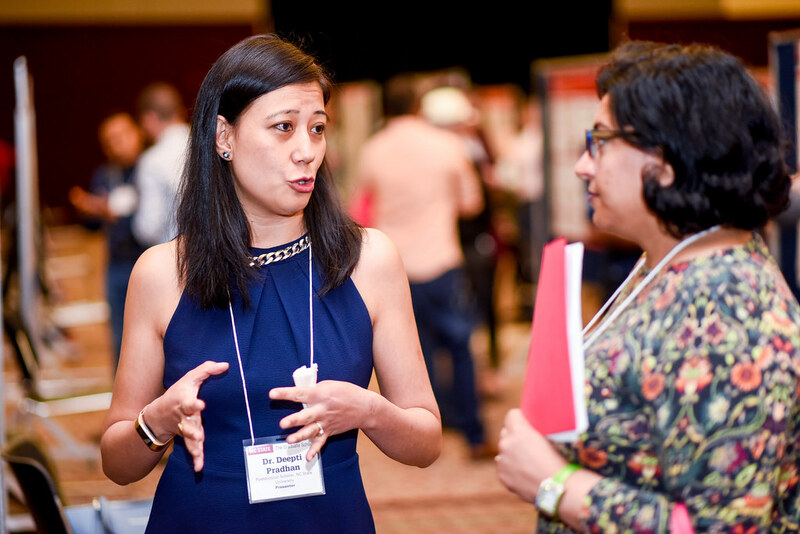 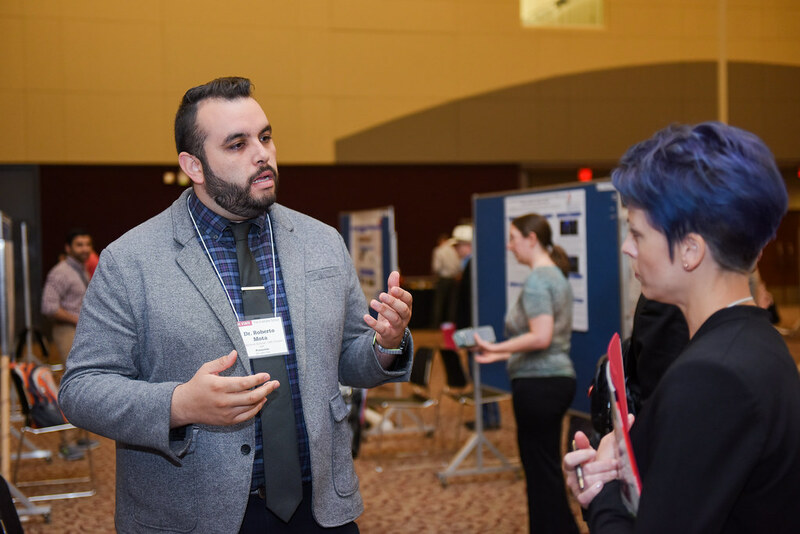 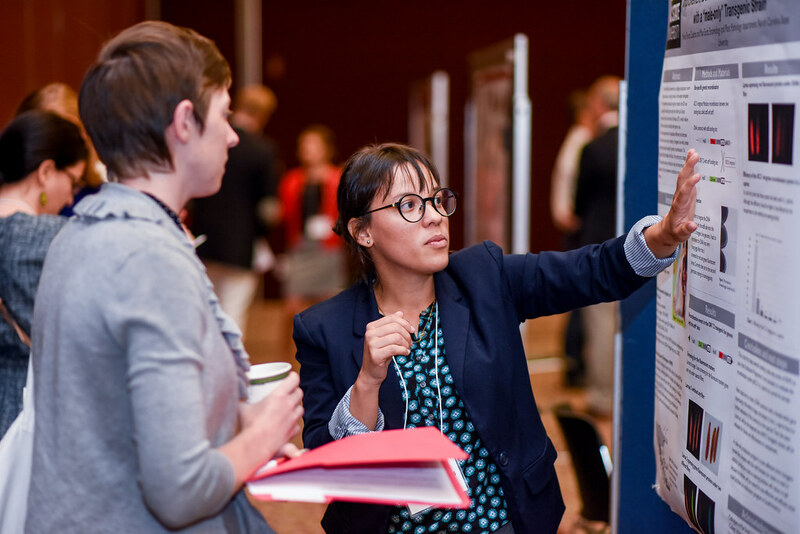 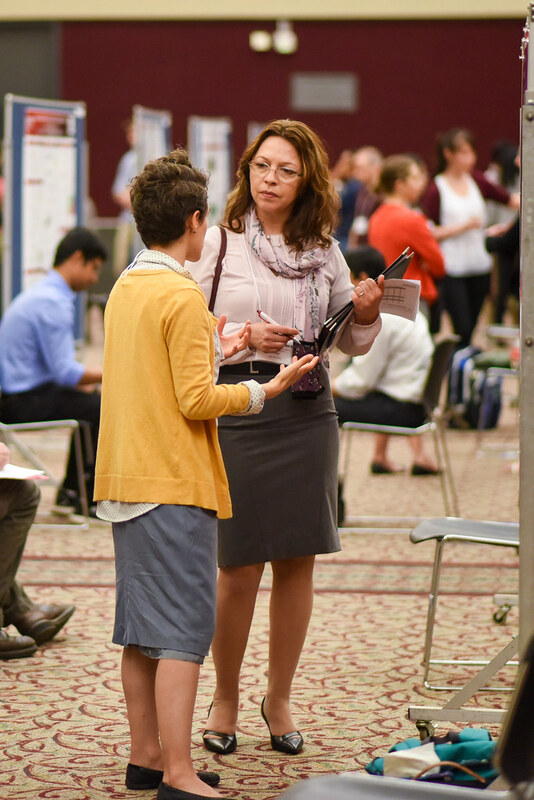 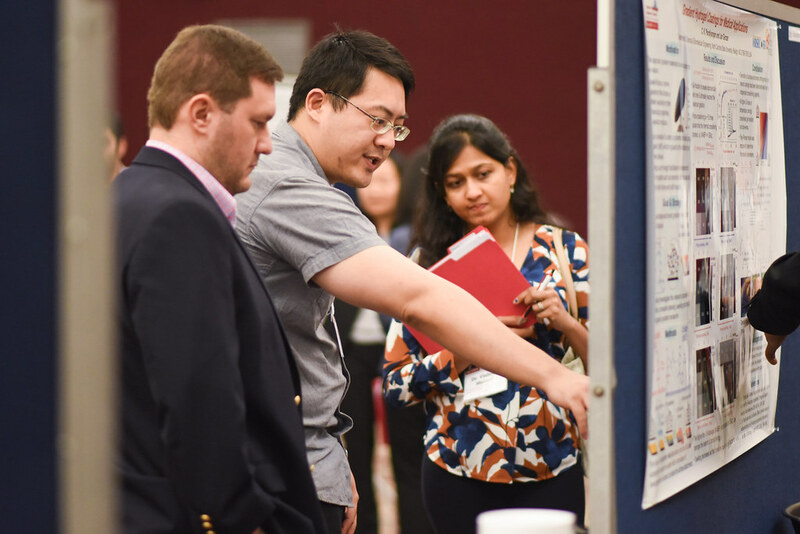 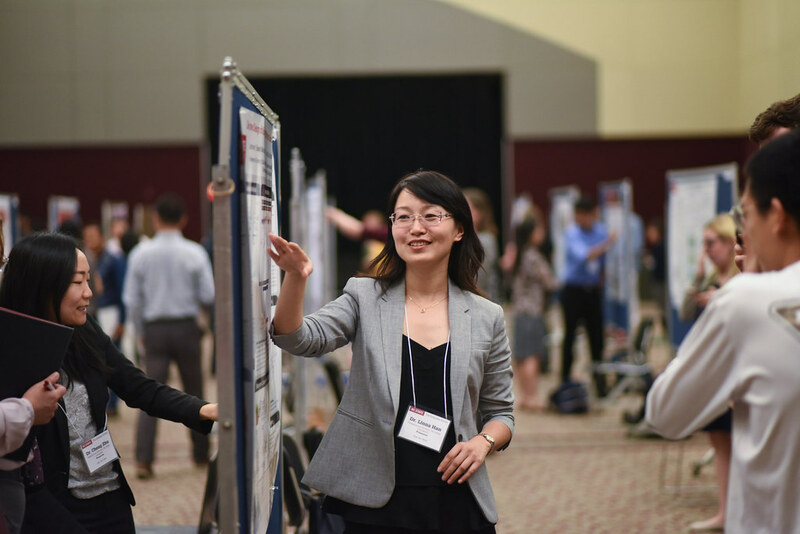 More than 60 postdoctoral scholars from seven different institutions shared their research with participants at the 7th Annual Postdoc Research Symposium held recently at NC State. 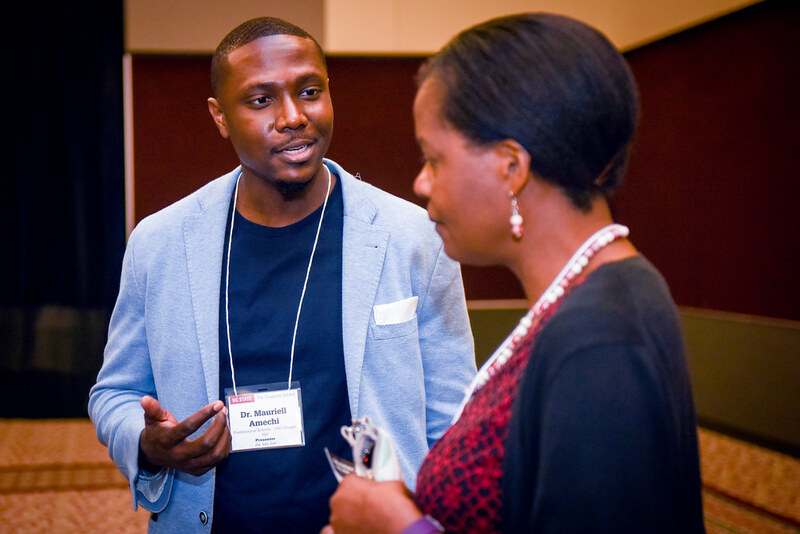 The symposium, held May 25 at McKimmon Center, drew 122 registered participants. 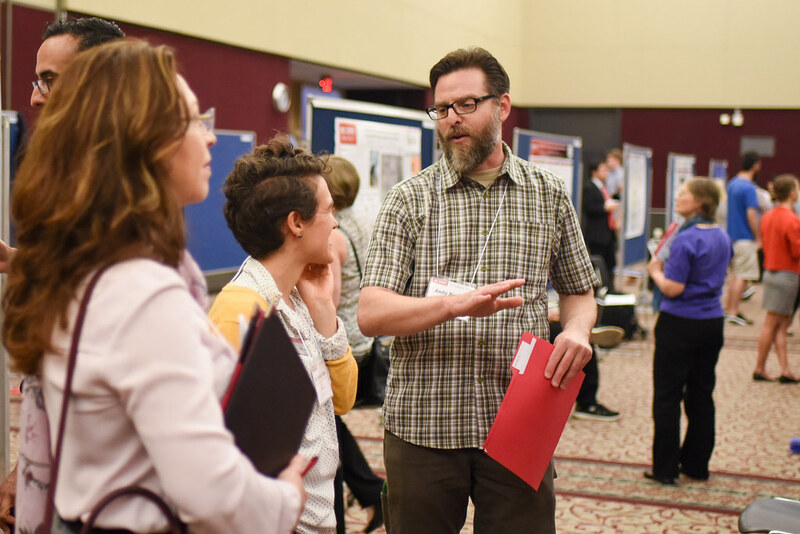 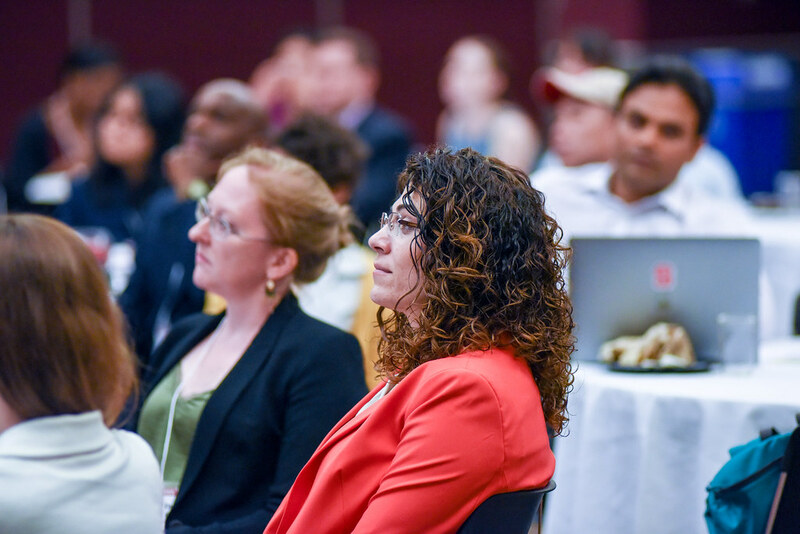 The event was sponsored by the NC State Office of Postdoctoral Affairs and the Graduate School and organized in conjunction with the Postdoc Research Symposium planning committee. 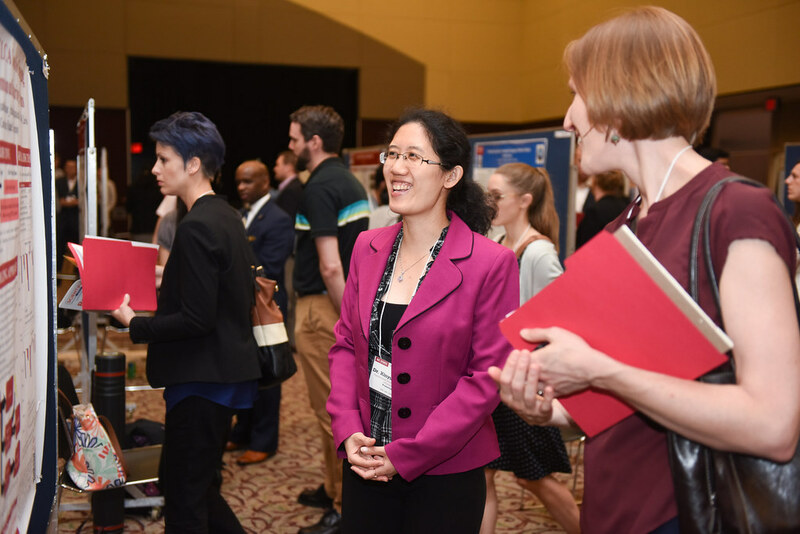 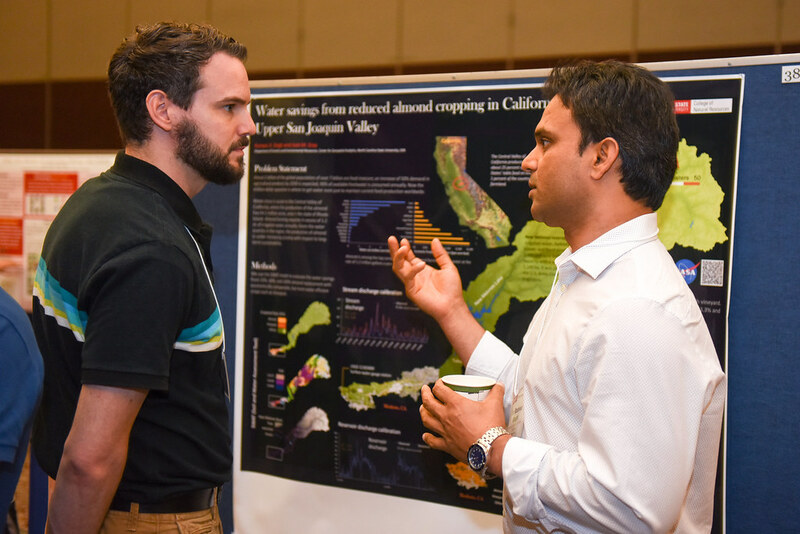 Volunteer judges rated the poster presenters on their poster display and their ability to communicate their research to a broad, multidisciplinary audience. 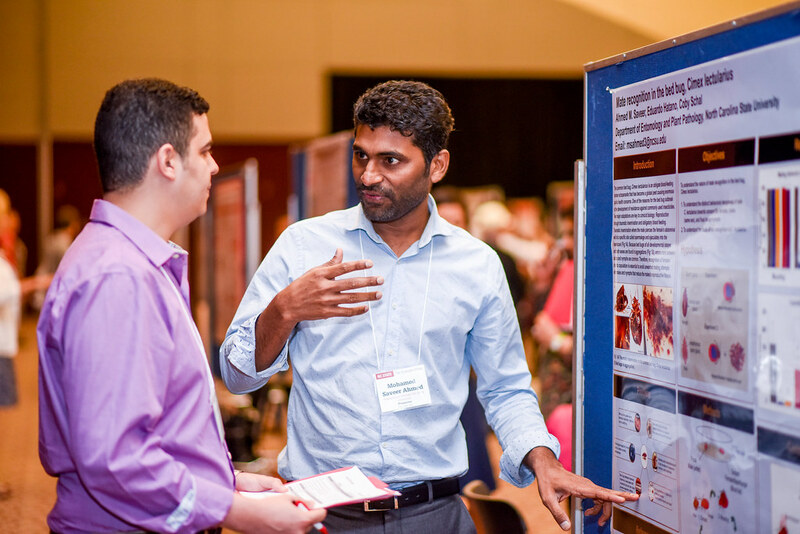 • Bhalchandra Mirklekar, postdoc, UNC-Chapel Hill. 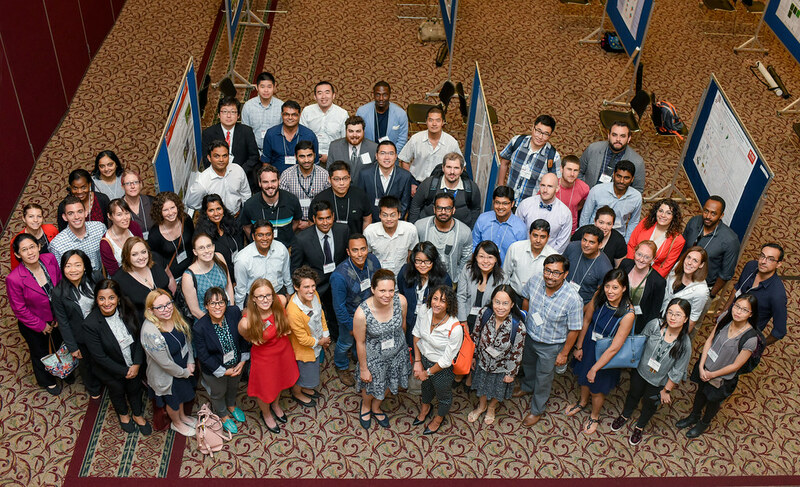 Participants gather for the 2018 Postdoc Research Sympsoium. 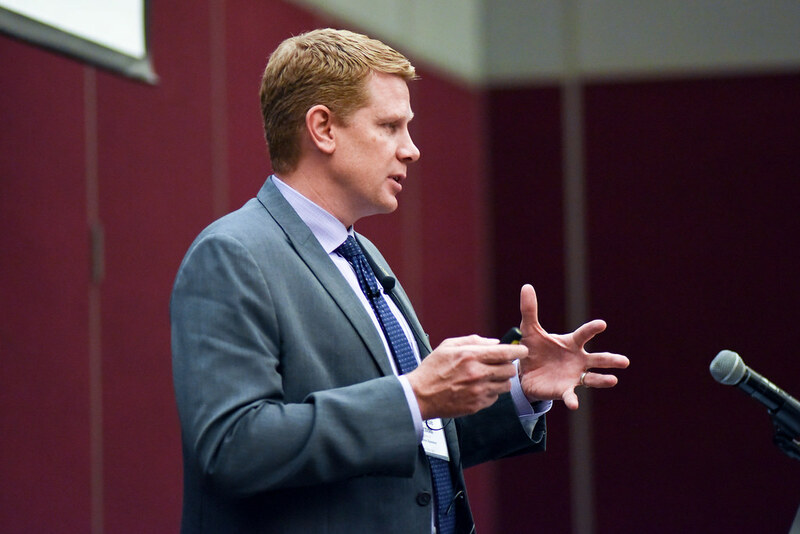 • Glenn Watson, Duke University, Partner Institutions winner. 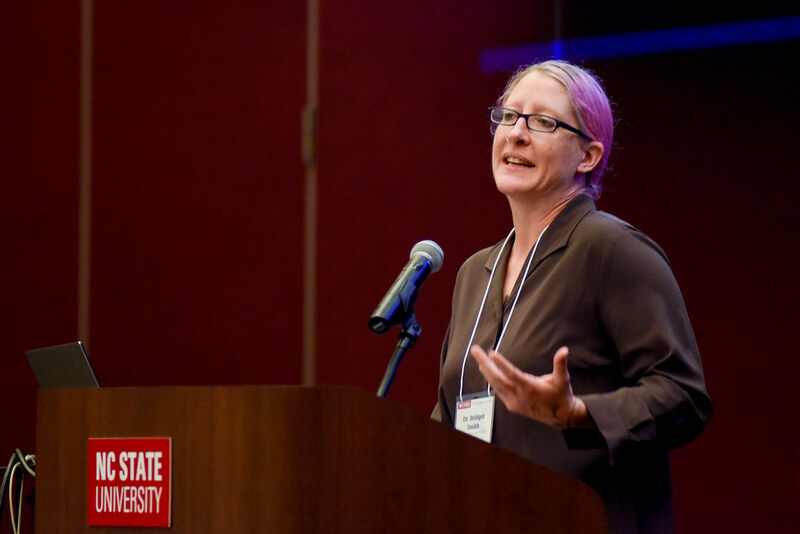 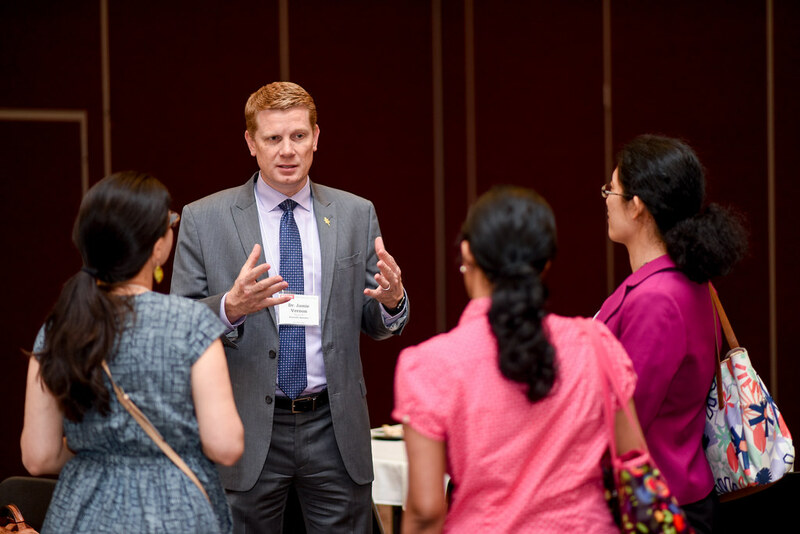 Jamie Vernon, executive director and CEO of Sigma Xi, was keynote speaker for the research symposium. 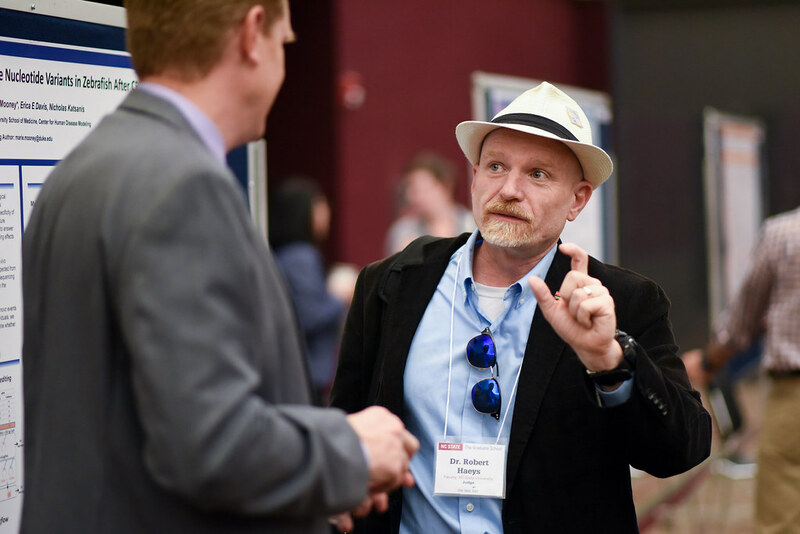 Vernon, who is also an alumnus of NC State and former editor of American Scientist magazine, discussed how to make science accessible. 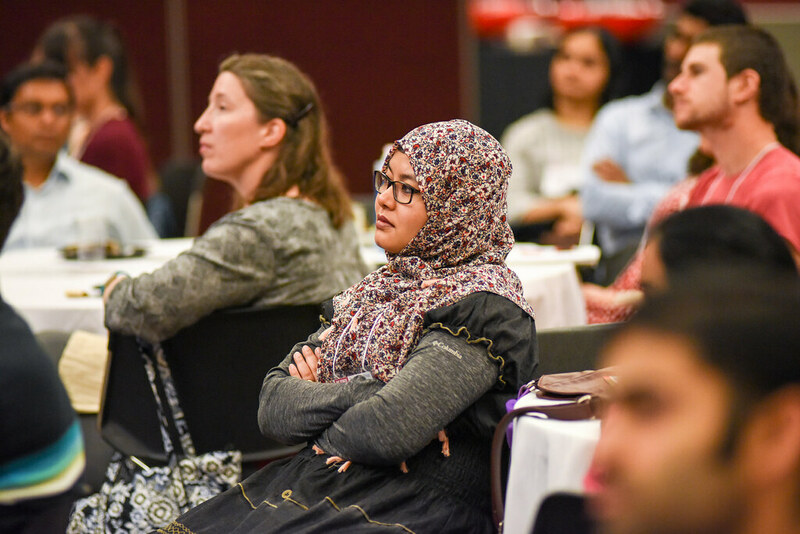 Vernon told the postdoc audience that the public is very polarized on many issues, especially science, and that public trust in science has changed in the past 30-40 years. 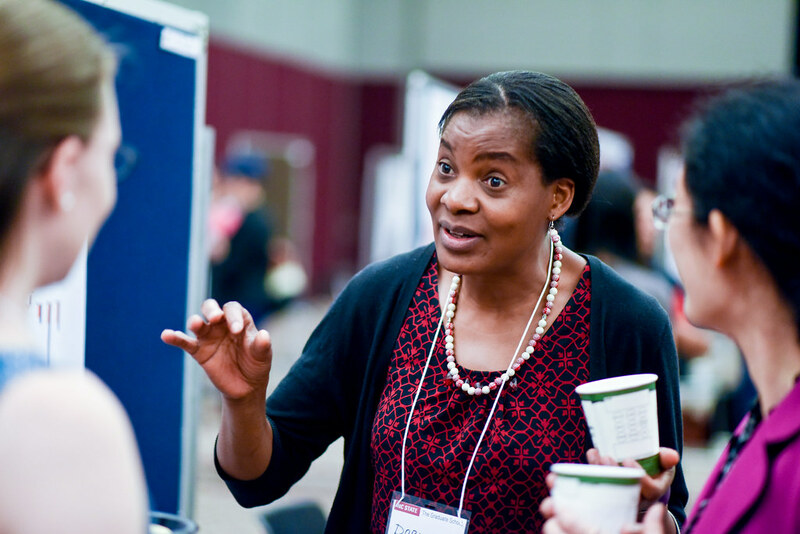 In many cases, the public will believe “culturally identifiable experts” who can relate to their values over true scientists. 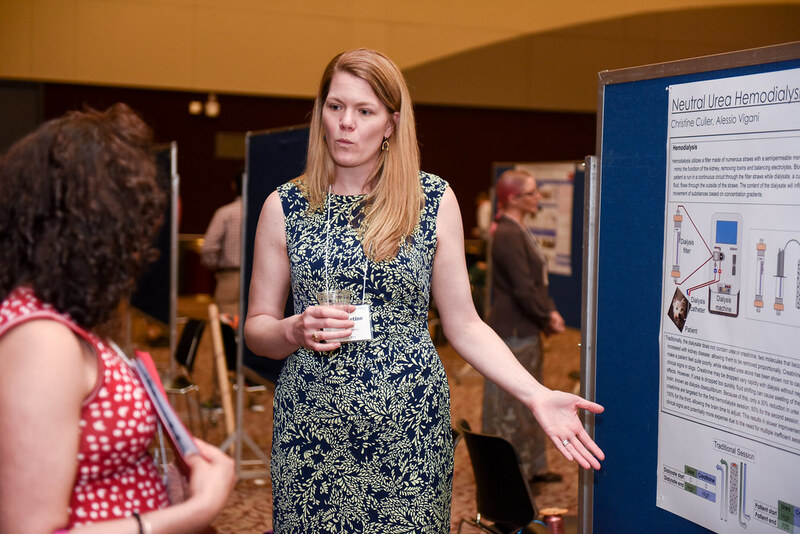 He encouraged the scientists to frame their research in a way that connects with their audience’s values and to listen to their audience’s concerns. 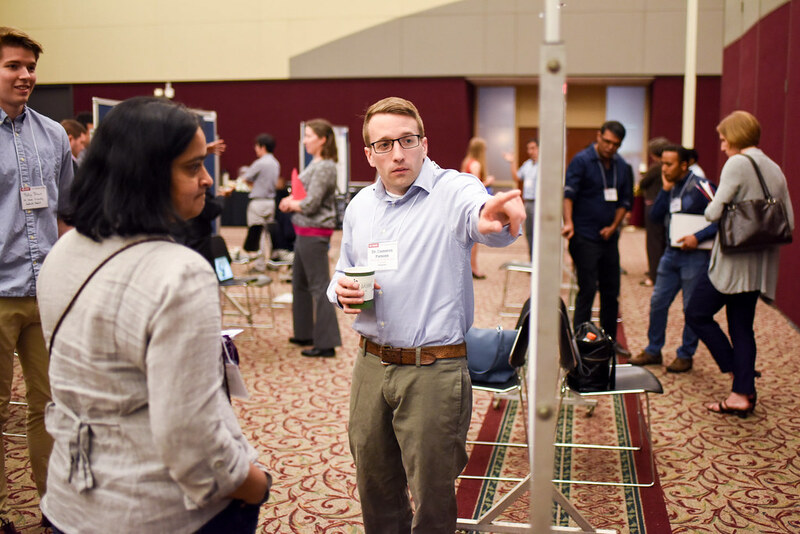 He described some ways of connecting with the public, including “This is what a scientist looks like,” a campaign to show the diversity among scientists. 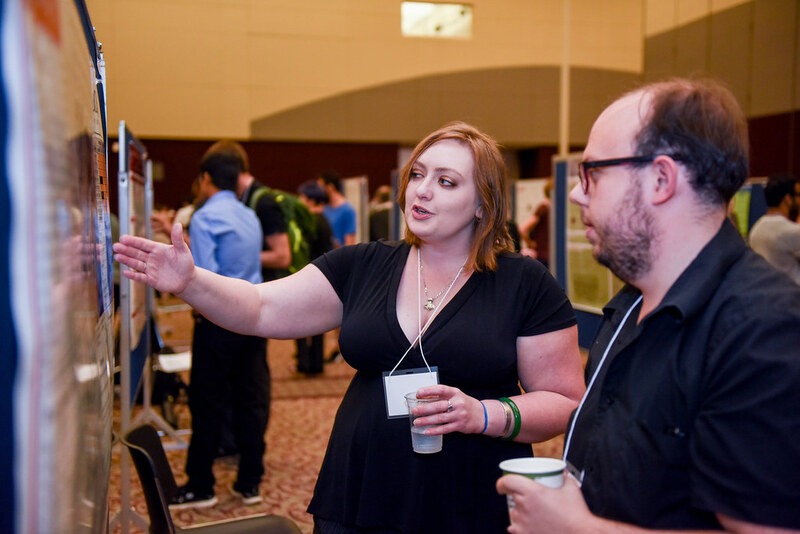 Other programs and opportunities for bringing science to the public include Citizen Science projects, Story Collider story-telling sessions, social media and science blogs, crowd funding for science projects and science communications workshops like ComSciCon and the Alan Alda Center.